Explore the possibilities and see why more drivers are making the trip from Sutherlin to get their hands on a new Toyota with Entune . Connect Your Compatible Smartphone. Use the Bluetooth setting on your phone to connect to Entune and make calls and control your music library via the in-dash touchscreen or convenient multifunction steering wheel. Talk to Siri. iPhone users can take advantage of Siri® Eyes Free to make calls, review messages, and more without taking your eyes off the road. Get Real-Time Traffic. The available smartphone-based navigation offers turn-by-turn directions, traffic and weather information, alerts and more. Access Your Favorite Content. Entune with App Suite lets you access your favorite stations, buy tickets, make reservations, and more. Get more from the daily commute when you choose a new Toyota vehicle with Entune. 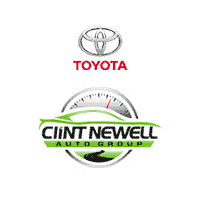 Contact Clint Newell Toyota in Roseburg to learn more about the compatible vehicles and test drive your favorite today.